Motor vehicle accidents are an all too common occurrence on Florida roads. In fact, there were nearly 400,000 motor vehicle crashes—resulting in approximately 3,200 fatalities— in the state in 2016 alone, according to the Florida Department of Highway Safety and Motor Vehicles. Losing a loved one in a tragic traffic accident can be absolutely heartbreaking and, in some cases, financially devastating. However, if your loved one was killed in a crash caused by another person’s or entity's negligence, you may have grounds for a wrongful death claim. Here's what you need to know. While both personal injury and wrongful death cases are similar in that they're both based on the premise that a duty was owed and breached, which directly led to injury or death, there are key differences between these two types of claims. For example, personal injury claims are intended to compensated victims for injuries and other losses sustained in an accident, while wrongful death claims are designed to compensate a decedent's surviving family members. Additionally, personal injury and wrongful death claims cannot coexist; a personal injury claim stops when the subject of the claim dies, whereas a wrongful death claim cannot begin until the subject of the claim is deceased. 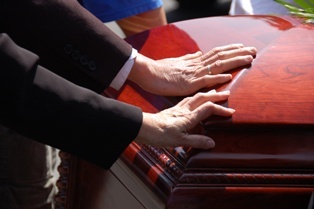 Who Is Eligible to File a Wrongful Death Claim in Florida? According to Florida state law, wrongful death claims can only be filed by the personal representative of the decedent's estate. This representative is often named in a person's estate plan or will. However, if there is no will or estate plan—or no personal representative was named—the court will appoint one. The personal representative files the wrongful death claim on behalf of the decedent's surviving family members, listing every survivor with an interest in the claim. The statute of limitations determines how long the personal representative of a decedent's estate has to file a wrongful death claim on behalf of a motor vehicle accident victim's surviving family members. In Florida, the personal representative must file the wrongful death lawsuit within two years of the decedent's date of death. Failing to act within the statute of limitations will result in the case being dismissed without being heard. Was Your Loved One Killed in a Motor Vehicle Accident? You may be entitled to compensation. While no amount of money can fill the hole a lost loved one can leave in our hearts, a wrongful death financial award can help ensure that the family is taken care of—just like your loved one would have wanted. The knowledgeable and experienced personal injury attorneys with Cullen and Hemphill, PLC, can help you fight for the compensation your family deserves. Contact Cullen and Hemphill, PLC, today to schedule an appointment for a free review of your wrongful death case.